7:00am at Mabul Island. My dive computer’s alarm beeps and I jump out of my bed in the Scuba Junkie Mabul Beach Resort. Time to get ready, have some breakfast, go to the jetty and help organise dive gear, tanks and other equipment ready for another day of my internship. While I wait for the boats coming from Semporna, I talk to my colleagues. We all share the same world, we make common jokes and enjoy the sunny weather together. No stress, no cars, no shopping malls. Just us and the sea. Some days I am with certified divers, others I am assisting PADI Instructors to prepare for the PADI Instructor Development Course with Scuba Junkie later this month. Every day there is something fascinating going on. The dive boats arrive and it’s time for diving! The day passes by so fast that we cannot believe it. At 3:30pm our 3 dives are finished and after cleaning the equipment, it’s time to help our divers fill in their log books before heading back to the resort for a nice relaxing shower! When and where did you start diving? A friend and I decided to go to Semporna in September 2011 to try diving with Scuba Junkie. We arrived one sunny morning at magnificent Mabul Island and we could not believe the beauty around us: the transparent waters full of colorful fish and stunning corals. Jason, our PADI Instructor made it an incredible Discover Scuba Diving experience. We both fell in love with the sea instantly! 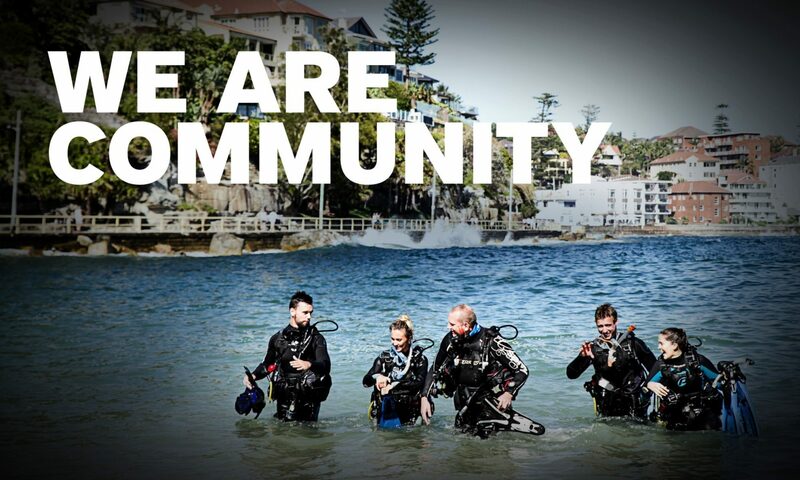 What made you choose to become a PADI Professional? I am a teacher, a professor, a lecturer… I have been teaching all my life many different things: languages, literature, martial arts… Teaching has always been a rewarding experience for me as well as learning new things, traveling and diving. But diving has something magical, something unique that always makes me feel happy, whole, part of Nature. Being a PADI Professional was just the natural step to take. And I have no regrets at all! Being able to show and witness the wonders of the underwater world is the best experience I ever had. I can say that the PADI Divemaster course has been fascinating from day one. I consider the PADI Instructors at Scuba Junkie to be some of the best trained people, the most thorough teachers, and the most encouraging mentors. It is difficult for me to choose just one moment but I can say that doing the distinctive Reef Check Specialty as part of my Eco-DMT course was very rewarding and it was great to be part of the environmental projects of Scuba Junkie. What dive locations are on your bucket list and why? I want to dive all over the world, I cannot help myself! But Philippines is coming soon as well as Mexico, the Red Sea and Galapagos… I have seen videos and photographs of these dive sites from other divers and instructors, from the Internet and some documentaries. I want to see those places with my own eyes, feel the sea on those latitudes. I am sure the list will keep on growing in time. What has been the most memorable dive of your life? All dives have something special but some are outstanding. The night dive at the Liberty Wreck in Tulamben, Bali is still one my favorites as well as some muck dives at Secret Bay (also in Bali). Raja Ampat, West Papua has the best night dives in coral reefs I have ever done. Richelieu Rock in Thailand is the most lively dive site as the pinnacles are full of fish, corals and invertebrates. Incredible macro life in Awas (Mabul) and schooling devil rays at Siamil Island on the Sipadan Barrier Reef – The most memorable dive? I cannot make up my mind! What words of advice and encouragement would you give to divers thinking of becoming a PADI Divemaster? Becoming a PADI Divemaster is an experience that you will never forget: it is full of fun, adventure and knowledge. That alone should make you go for it! You will improve your diving skills and you will gain in depth knowledge of the sea. Becoming a PADI Divemaster will make you part of a great community of professional divers who care about the environment and help to protect it. Just imagine yourself waking up every morning on a beautiful island to unravel the secrets of the sea… What’s next for me? My PADI Instructor course, naturally. And guess where? At Scuba Junkie! Next PostNext Have you considered participating in a Dive Expo?